Yogi Elephant is a very kind and gentle soul. Always on the look out to give a helping hand, he is beloved by all who meet him. Though giant in size, his kindness and love melts any fear away. To be in his presence is to be in an atmosphere of pure stillness. 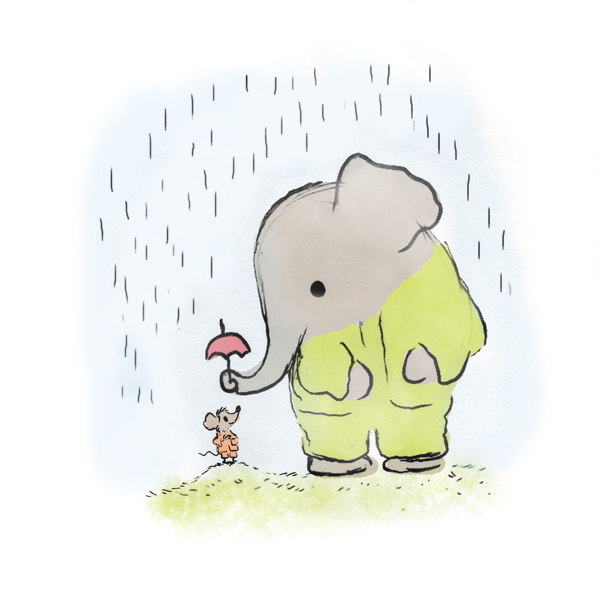 Yogi Elephant is a one of a kind Pet, created by the author and comes with an original line sketch signed by the artist ! If the Yogi Pet is not available for adoption join our mailing list by clicking HERE and we will notify you before anyone else, when he becomes available.